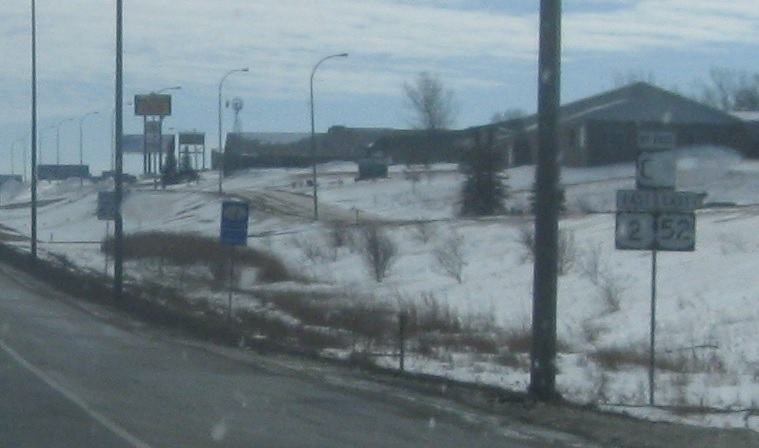 Reassurance shield after the business loops split, acknowledging Bypass 83. 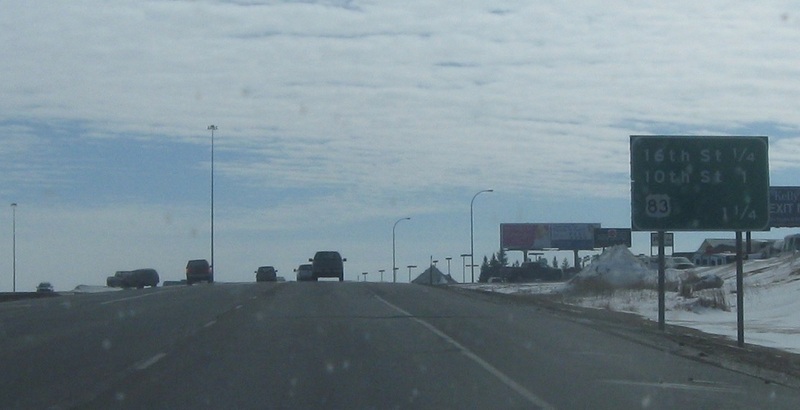 1.25 miles to the US-83 junction. After 16th St, we’re half a mile from US-83. 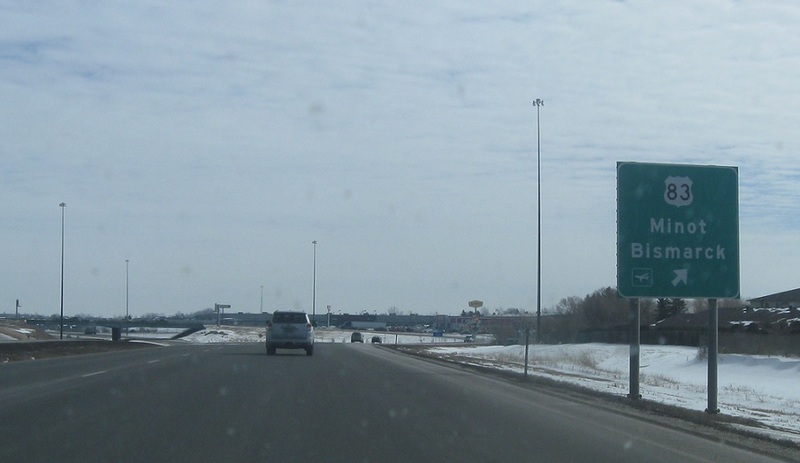 Exit for 10th St. Junction US-83 coming up in a quarter mile. 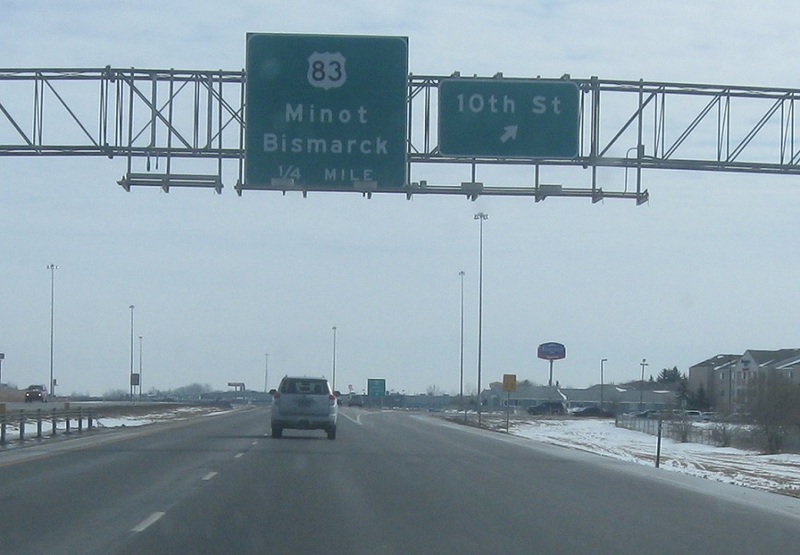 Exit for US-83, which heads north to downtown and south towards Bismarck. 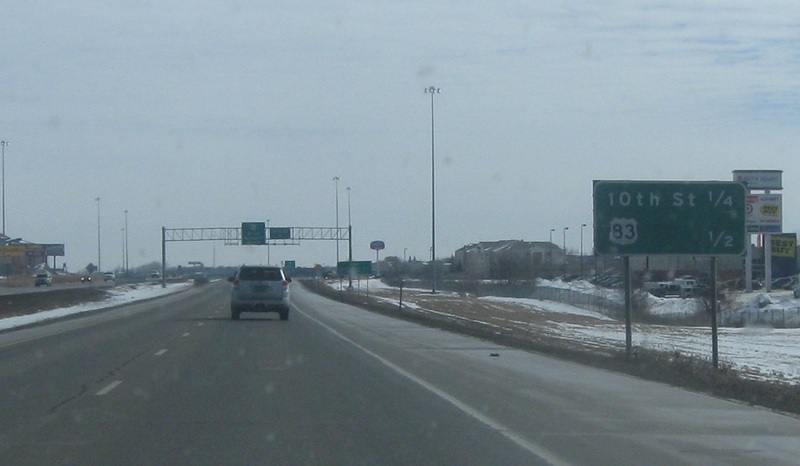 US-83 Bypass ends here.